In the past, buying a home that needed to be remodeled or updated was a choice that most shoppers stayed far from. Lately, thanks to trending television shows that feature fixer-uppers, there is a growing group of buyers who are very interested in buying the seemingly undesirable real estate and transforming it into a home that is beautiful. 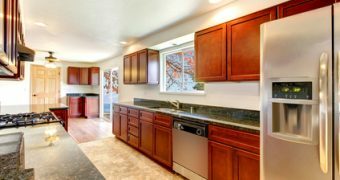 Finding a diamond in the rough and transforming it into your dream house is no easy feat, but these tips can help you to purchase the perfect Williams Lake real estate to remodel. When buyers are planning to purchase a home to remodel, it is important to take your time and consider every home that catches your interest. Keep in mind; many fixer-upper properties are going to be “ugly”, with blemishes and minor damage that would easily turn most buyers away. Keep your eyes and mind open to the potential within an older, neglected property. Even if you are not immediately drawn to a home, if it is well priced and in your ideal location, put the house on your list to see. You never know which property will speak to you and show you that it is your diamond in the rough. One of the most discouraging aspects of shopping for a home to remodel is that you really cannot get your heart set on a property without having an adequate inspection completed. While you may think that the home is in decent repair and only needs upgrades, there could be hidden damage that you do not know about which makes the home a no-go. Plan to have a trusted contractor visit and assess the repairs or remodeling work that you would like to have done. This professional will be able to tell you if your vision for the property can be achieved, how much it will cost and if your investment will be worth the new value of the home once the work is complete. If one home falls through, do not get discouraged—keep searching. If you are unable to complete major repairs on a house or are only interested in completing a minor renovation, do not purchase a home that requires more work than you are willing to put in. If you find a property that has potential but requires more TLC than you can give, you might find yourself regretting your purchase. You should not have to navigate the market alone to find your perfect home. A real estate agent who is familiar with the local market can be your teammate on your journey. If you are ready to find a home to renovate in the area, visit our featured homes page or contact a representative with Team Moore today. You perfect piece or Williams Lake real estate is waiting for you to purchase, transform and create your dream home.